Careful crafting of the logical and physical aspects of a network is essential for an effective security policy. Here's how to select the right network device hardware and software to support your security policy. A security policy is the foundation of a secure network, but it must balance security with business needs. Here are some guidelines for successful security policy development. SGA, part of Cisco TrustSec, allows organizations to enforce identity-based network access. Here's how it works. SDNs offer the ability to centralize and automate network security functions, but only if security requirements are implemented correctly from the ground up. 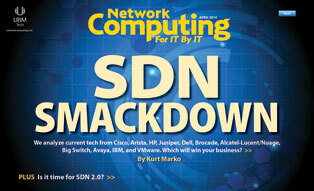 Learn how to secure the many components of the SDN.